Does your office consume far more paper than you’d like? Here are just 10 great benefits that going paperless can have on your office. United States offices use over 12 trillion sheets of paper each year. By the end of the year, 45% of that paper ends up in the trash. That’s a lot of paper that most offices don’t actually need. Switching to a paperless office isn’t just environmentally friendly, it also increases productivity and saves time, space, and money. Many companies may not even realize it, but getting rid of all that paper can actually help their company grow. Take a look at the top 10 benefits of going paperless for your office. A lot of people think going paperless will end up being more expensive. After all, they would have to buy all the right hardware and software and train employees how to correctly use the new system. If money is your concern about going paperless, stop worrying. Going paperless will create some expenses. But most offices get all that money back in a matter of months, sometimes even weeks, from the money they save without paper. Without paper, you no longer have to pay for printer electricity or the copy machine. You don’t even have to buy ink. All that paperwork takes up a lot of space. You have to have room for dozens and dozens of file cabinets. One of the benefits of going paperless is clearing up that space. All your important documents can be stored online, so those filing cabinets can be tossed out. The extra space can provide a larger, more productive work area, and you might even use the space to set up a few more desks and hire more workers. Some offices have so much paperwork they have to store it all in a storage unit. Going paperless removes the cost of storing your paper offsite as well. It’s not hard to lose that one, specific sheet of paper in the mass of other paperwork. But, when you store all your documents online, everything stays organized and easy to find. You can pull up the document you want with a few clicks of a button, no rifling through file cabinets. This can also save a lot of time. The average employee spends about 30-40% of their time looking for lost documents. Imagine what they could be doing if they could always find what they needed in a few minutes. Storing documents online also means you can share them quickly and easily. If there are multiple people working on the same project, each person can get access to the same document and edit it at the same time. To make things really easy, you can also backup an original version of the document so you don’t have to worry about any important information getting overlooked. Speaking of backing things up, the benefits of going paperless also protects your business. If something out of your control happened to the office, like a fire or flood, all of your paperwork and records would be lost. Even if you keep your paperwork offsite, it only takes one disaster to ruin your business. By keeping your documents backed up online, you don’t have to worry about them getting destroyed. Even if something did happen to the computers, you can access them through any other computer. This also makes it incredibly easy to store documents in a different location. All you need is an external hard drive, not a massive storage unit. On a business trip but forgot to bring along some very important paperwork? When your office is paperless, you never forget anything no matter where you go. You can just log on to your accounts from your phone and pull up any document you need. Another of the many benefits of going paperless is that it makes things like processing invoices a lot easier. Ordering office supplies online only takes a few minutes when you don’t have to worry about all the extra paperwork. Being able to access documents on the computer gives your business batter customer service. Employees can search for any document they need on the computer, so they can pull up relevant information while on the phone with a customer. They don’t have to put the customer on hold while they try to search for the right papers. The customers get faster service, and they leave happy. And a happy customer means better business. You now know you’ve most likely been spending a good chunk of your time just looking for papers. With all that time cleared up, you can focus your attention on growing your business. Putting your documents online means you can keep them locked up behind passwords. Only the people who need to see the documents see them. If you’re worried putting your paperwork online increases the risk of it being hacked or stolen, don’t be. Most business leaks actually happen because someone got ahold of paper documents, not because a hacker was able to break into any accounts online. You can’t keep tabs on every single sheet of paper, so you can never be completely sure anything important is staying out of the wrong hands. The benefits of going paperless definitely outway any initial costs or transition periods in the office. Keeping all your documents online will make your office more secure, allow your employees to be more productive, and will actually make your business run smoother. 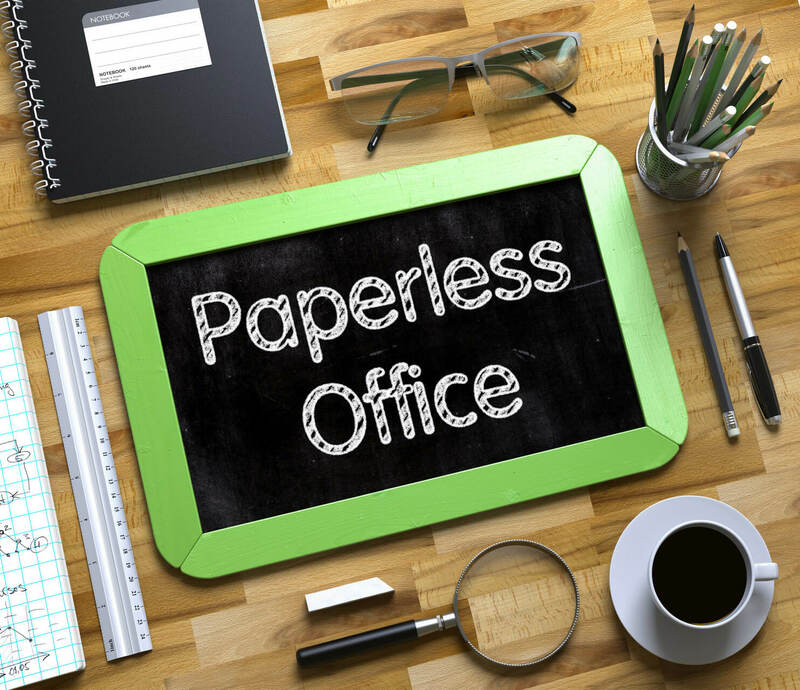 Thinking of going paperless yourself but not sure how to supply the office? 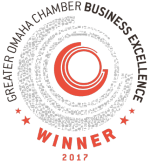 Contact us and we’ll help you find everything your office needs.